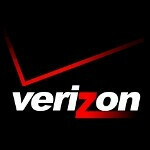 Is Verizon getting the Samsung Galaxy S4 mini first in the U.S.? The Samsung Galaxy S4 mini is already official, but the phone is going to be unveiled at the Samsung Premiere event in the U.K. on June 20th. A recent Bluetooth certification might have given us a clue as to which U.S.carrier will have its version of the Galaxy S4 mini released first. 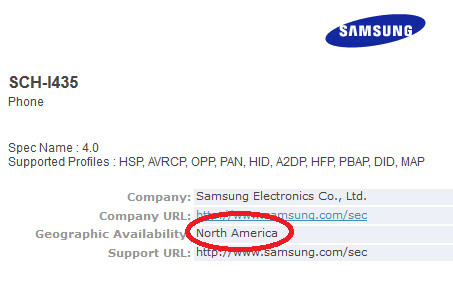 Based on information from the Bluetooth SIG, the Samsung SCH-I435 could be the first variant of the small sized Galaxy S4 to see daylight. And if so, that would suggest that Verizon customers will have first crack at the device, at least in the U.S.
Samsung usually reserves the SCH prefix for Verizon branded phones. And consider that the Verizon version of the Samsung Galaxy S III is the SCH-I535 while the Verizon Samsung Galaxy S4 is the SCH-I545. Certainly it would make sense for the SCH-I435 to be Big Red's variant of the Samsung Galaxy S4 mini. And under the heading of Geographical Availability, the certificate shows North America. So while there is no guarantee, it would appear that after being last to launch the HTC One in the states, Verizon will be the first to release the Samsung Galaxy S4 mini. Nobody wants this skimped, overpriced POS. If I'm going to spend $350-$400 on a mid ranger I'll make sure it has at least a 720p screen . When will SAMSUNG ever learn??????? Most consumers are not as bright as you, think of the MILLIONS of people who have spent twice as much since 2007 for a mid-range iPhone. People make baaaaaaaaad decisions all the time. U.S. Cellular get it first since they won't be getting the One. That makes no sense whatsoever. What does them not getting the HTC One have anything to do with Samsung, and the SGS4 Mini? No dude. It doesn't make up for anything. does anyone know the price of this on contract? if the price is right ($99, on contract) then I could see people who are hooked up to verizon buying this phone. getting a mid range price/device could help alleviate the high monthly bill we are paying to be on verizon, IMO. however, if it were me, I would just buy the S3.